Three retired friends (Arthur, Derek and Rod) who now live in different parts of the country meet at least once a year for a cycle ride. 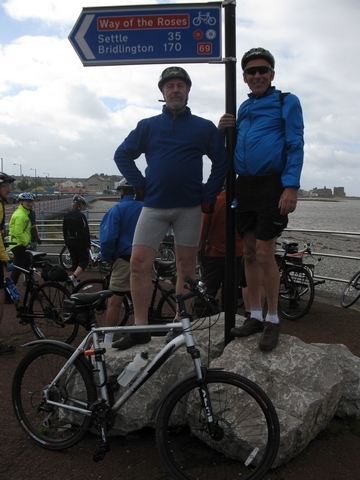 This year they decided to cycle with a group undertaking the 170 mile long "Way of the Roses" route. This runs from coast to coast from Morecambe to Bridlington. 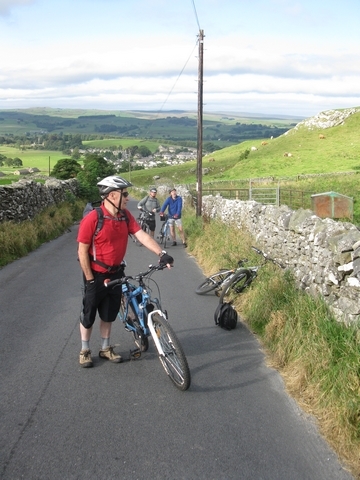 Apart from a good opportunity to meet up, get some exercise and explore the Lancashire/Yorkshire countryside. They thought they would try and raise some money for a charity and selected the Friends of Nixon Memorial Hospital. Arthur had in his youth and as part of VSO work visited Sierra Leone and had maintained contacts there and knew of the good work of the hospital. The intrepid explorers donned their padded shorts with about 15 others and pushed themselves over hill and dale to their destination. They thoroughly enjoyed their jaunt and the camaraderie with new friends. So if you were thinking of doing something similar to raise funds they would highly recommend it. Below are some photographs from the ride.